Ceremony in Henniker NH and reception at Dexters Inn in Sunapee. 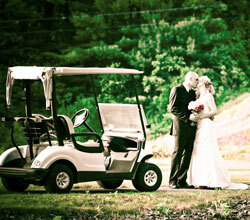 As a wedding photographer it is my goal is to show the fun and emotion of every wedding. I have been a wedding photographer in New Hampshire over 20 years and I will document your wedding in a unique photojournalistic style that you will want to share long after the cake is gone and the kids have come. I am based in the Manchester New Hampshire area and I often travel through-out NH, Massachusetts, and the rest of New England. My clients have taken me from my home town to California. My unobtrusive photojournalistic approach to photographing weddings brings out the joy and emotion that you experienced on your wedding day. Whether it is the family dog getting into trouble at home, unique camera angles at the ceremony, or the ring bearer hiding from mom at the reception. I not only photograph the special moments that happen at every wedding, but I photograph the unique moments that only happen at your wedding. I believe that photographing a wedding is an all day affair. I will only do one wedding a day so as to focus all of my attention on your event. I will begin coverage with the bride and her bridesmaids getting ready and stay the whole day until the last dance. My specialty is B&W and it has been a passion since I began in photography. Most of the traditional shots and group shots may be in color but many of the candid and fun shots can be in B&W. This is what gives my weddings a unique look and elegance. Color photography is also an important part of the final wedding album. Much time is spent picking out the color of everything, from the bridesmaids and mothers dresses, to flowers, and even the napkins on the tables. I strive to capture every detail that took months of planning to make happen. After the party is over and the dust settles I will work with you to create a wedding album that will bring years of pleasure, for your generation and those to come. All of my wedding packages include a disk of high resolution images with print rights. I only book one wedding per day. I arrive early enough to photograph the bride getting ready and stay until the last dance.